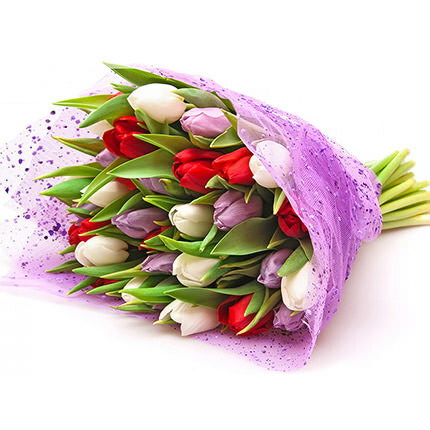 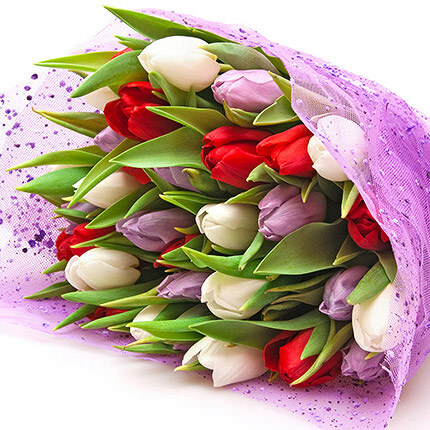 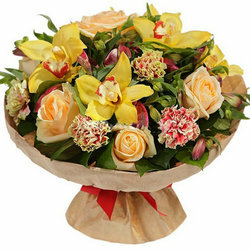 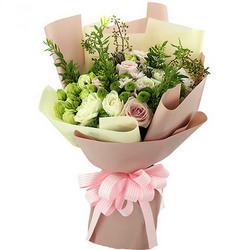 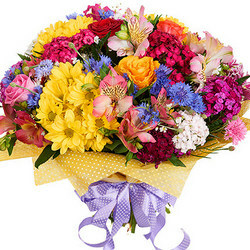 Splashes of color - pleasant emotions that will test your beneficiary will receive a bouquet. 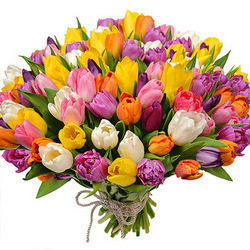 Composition: 25 colorful tulips, decorations. 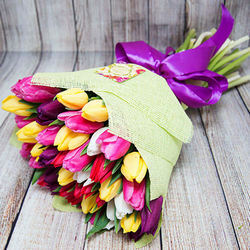 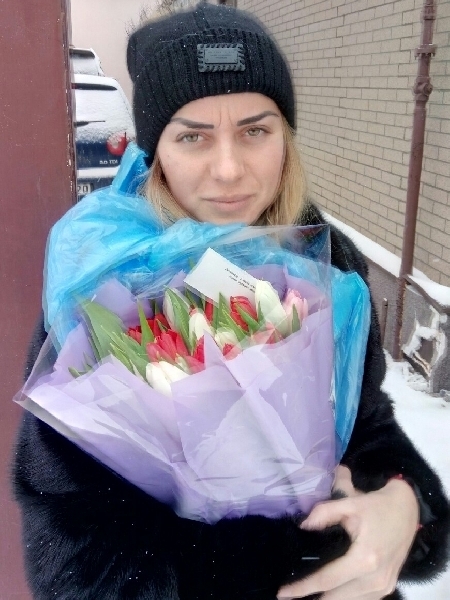 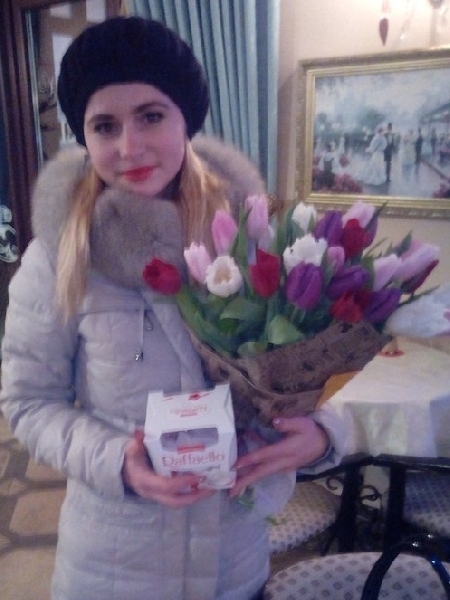 20032019 © Flowers.ua Bouquet "Сolorful splashes"